Pork, that tasty greace ball, is now harnessed to jerkys wonderful taste. 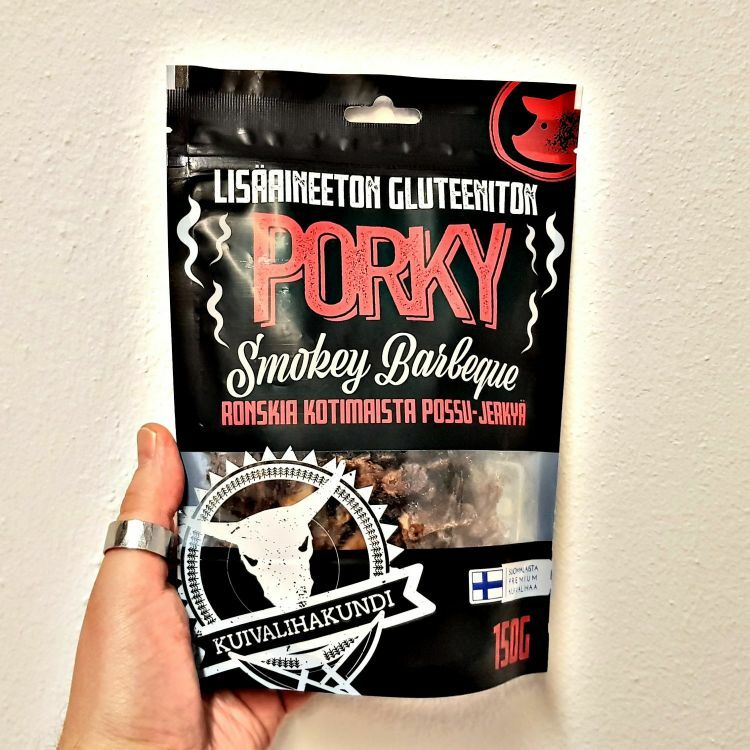 The pork jerky is made from Finnish kassler which is smoked in the gentle touch of oak. For 100 grams of the end product, 230 grams of pork is used. There may be pieces in the bag that are simply smoked fat, mmmmm... fat. The product is additive-free and gluten-free. Ingredients: porkk kassler, gluten-free soy sauce, tomato, onion, sugar syrup, smoke.